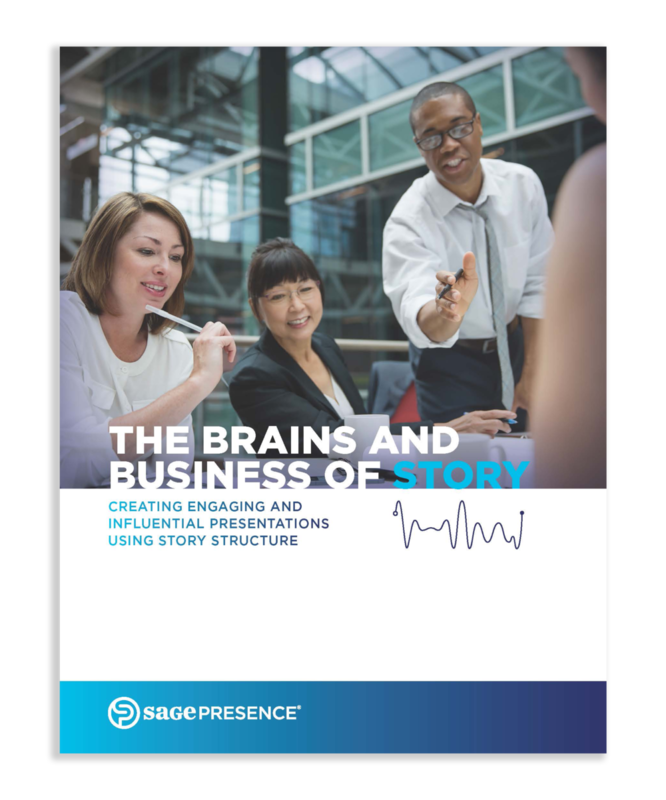 This white paper, The Brains and Business of Story: Creating Engaging and Influential Presentations Using Story Structure, explains how the brain reacts to hearing a story and how that reaction increases the likelihood of engaging in and remembering the story content. It also provides insight and tools for using story in business settings. The Story Structure Model(tm) will equip presenters with a framework for developing engaging, interesting, and memorable presentations. Let us know if you have ideas for future learning content such as this or any general comments/questions we can address. (Please indicate if you would like someone to follow-up with you directly). Please click the link below to download the file—The Brains and Business of Story: Creating Engaging and Influential Presentations Using Story Structure. CLICK HERE TO VIEW ONSCREEN. Use your computer’s print settings to save it as a PDF.